Schrader Lends a Hand at Richmond: CGRFS announced earlier this week NASCAR veteran Ken Schrader will drive the No. 40 Kennametal Dodge in this Saturday night's NSCS 400-lap event, while its full-time driver Dario Franchitti recovers from a race injury he received in the NNS event at Talladega this past Saturday (April 26). Schrader is confirmed to drive for CGRFS in Richmond only. Schrader has 44 starts at RIR, which include one pole, three top-fives and 12 top-10s. All three top-fives are fourth-place finishes (collected in March 1995, and then back-to-back in June and September 1998). Schrader's last start at RIR was in September 2006 behind the wheel of No. 21 Wood Brothers car, during which he walked away with a seventh-place finish (started 17th). The last time he competed in the Spring race at RIR was May 2006, driving the No. 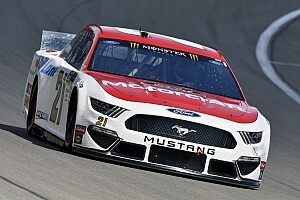 21 Wood Brothers car (started 28th, finished 16th). Franchitti Update: Dario Franchitti, full-time driver of the No. 40 CGRFS Dodge, was re-evaluated earlier this week by his doctors and will sit out this weekend's NSCS race at Richmond International Raceway (RIR). Franchitti was seen by Dr. Terry Trammel and Dr. Kevin Scheid in Indianapolis, Ind., on Monday. The doctors confirmed the slight fracture in his left ankle. Franchitti will be fitted for a carbon fiber brace later this week. His status behind the wheel of the No. 40 Dodge will be evaluated on a week-to-week basis. THANK YOU, DAVID! : Once it was concluded Franchitti wasn't going to be able to race this past Sunday at Talladega Superspeedway after being injured in the NNS race, Penske Racing gave the ok for its NASCAR test team driver David Stremme to climb behind the wheel of the No. 40 TUMS Dodge to help Franchitti, TUMS and the entire CGRFS organization. Stremme proceeded to spend the majority of the third and fourth quarters of the NSCS Aaron's 499 running inside the top 10 and leading the field at two different points of the effort. Unfortunately, the 188th lap of the day turned into mass hysteria as more than 10 cars, including the No. 40 TUMS Dodge, were collected in a last-lap accident. The late-race collision turned Stremme's potential top-five day into a 28th-place finish. Overall, it turned out to be a good points day for the No. 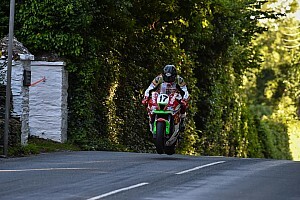 40 team, as they moved up three positions, into 36th place, where the team is now only 61 points outside the top 35. Don't Miss CGRFS Fan Day 2008: CGRFS wants to thank its fans for their support this upcoming Friday, May 23, from 10 a.m. to 2 p.m., during the Third Annual CGRFS Fan Appreciation Day. This year's event will be highlighted by a variety of activities at the team's Concord, N.C., race shop, including an extended view of the race facility that will take fans through interactive stations and displays, and then show them pit stop and car wrapping demonstrations. A complimentary lunch will also be provided. 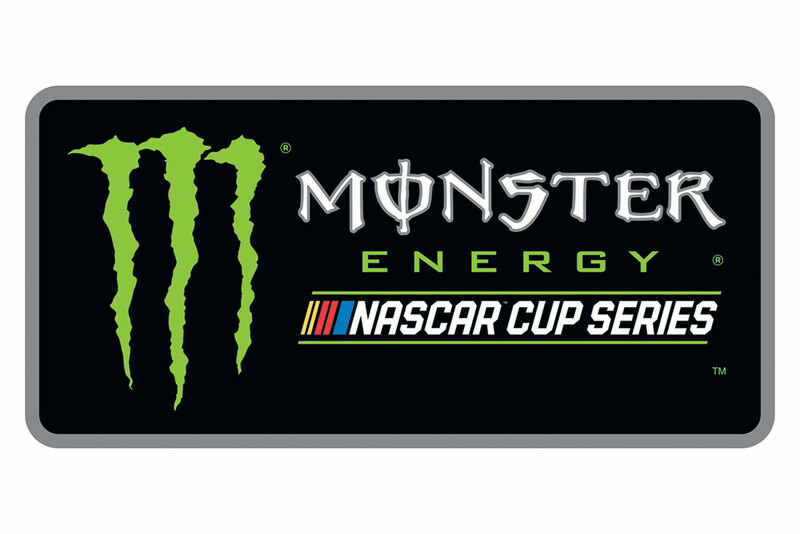 Then, the entire CGRFS NASCAR drive line-up, including Dario Franchitti, Reed Sorenson, Juan Pablo Montoya, Bryan Clauson and Kevin Hamlin, will stop by the shop from Noon to 2 p.m. ET to meet their fans and sign autographs. Please Note: Wristbands will be required to receive an autograph. They can be reserved in advance by calling 866-888-6388 beginning Monday, May 5. Limit two wristbands per call. Reserved wristbands MUST be picked up no later than end of day Thursday, May 22, or they will no longer be reserved. There will also be a private shopping session for all wristband holders from 8 to 8:30 a.m. Friday, May 23. Kennametal Back Onboard: CGRFS announced in late March an expansion of its current partnership with Kennametal (NYSE: KMT) to include primary sponsorship for multiple NSCS races this 2008 season. Kennametal made its primary sponsorship debut at Martinsville Speedway earlier this year and is going for its second run this weekend at RIR. Kennametal, a longtime CGRFS partner, supplies tooling and machining technology to the team's Charlotte and Indianapolis-based racing shops. In addition, Kennametal provides the team's engineers and machinists with a myriad of opportunities to further refine their skills in order to gain optimum performance through Kennametal's internal university program. Solid Day: This past Sunday, April 27, was one of the most successful days in the history of Chip Ganassi Racing Teams. Aside from Montoya's solid run at Talladega Superspeedway, Scott Pruett and Memo Rojas, co-drivers of the No. 01 TELMEX Lexus Riley, captured their third victory out of four races in the Rolex Grand-Am Sports Car Series race (Virginia International Raceway). Then, Dan Wheldon, driver of the No. 10 Target Honda, walked away with the IndyCar Series win at Kansas Speedway and his teammate Scott Dixon, driver of the No. 09 Target Honda, came away with a third-place finish. Wheldon's win marked the second victory for Team Target in the first four races of the season (in late March Dixon won the season-opener at Homestead Miami Speedway). Sunday also marked the second time this season Ganassi has won twice in the same day as both his IndyCar team (Dixon) and his Grand-Am team (Pruett and Rojas) picked up back-to-back wins on March 29 in Homestead. With five wins already in 2008, the team continues to add to its tally of 94 trips to victory lane. On the hood: After showcasing the Polaroid paint scheme last weekend at Talladega Superspeedway, the No. 41 Dodge will return to its normal paint scheme with the Target Bullseye adorning the hood. RIR History: Sorenson has a total of nine starts at Richmond International Raceway with a NSCS best finish of 14th in 2006. In the other garage, Sorenson has one top-five and three top-10 finishes at the .75-Mile track in the Nationwide Series. In the points: The No. 41 team is now 32nd in the overall standings and 351 points out of 12th, which is the final cutoff for the Chase. IndyCar Series Weekend: Target Chip Ganassi Racing Driver Dan Wheldon delivered Target's second win of the season and became the first repeat winner at Kansas Speedway. Target teammate Scott Dixon started from the pole position and dominated Sunday's Road Runner Turbo Indy 300, until an untimely caution relegated him to a third-place finish. Back in Black: Texaco/Havoline will be back on the hood of the No. 42 Dodge Charger this weekend at Richmond International Raceway. P12: Montoya now sits 12th in the NASCAR Sprint Cup driver standings following his runner-up finish at Talladega Superspeedway. Montoya jumped five spots in the standings and is currently eligible for the "Chase to the Sprint Cup" following the 26th race of the season. Montoya is 318 points behind series leader Jeff Burton and 55 points out of 10th heading into this weekend's race at RIR. Richmond '07: Montoya competed in the two races as a rookie at RIR last year and finished 26th and 41st in the events. Despite having an average start of 15.5, his average finish is 33.5. Montoya and the No. 42 Texaco/Havoline team started with a fairly strong top-15 run through the first 100 laps of the April race of 2007, a tap from the No. 12 car on lap 119 sent the No. 42 up into the No. 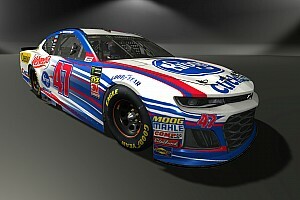 70 car. Montoya and team didn't give up. Instead, they took the setback that dropped them back to 38th place and stuck it out to call it a day in 26th. Montoya lined up 15th at RIR in the fall and proceeded to maintain a top-15 run the entire first half of the race. Then, on lap 242, the No. 42 Texaco/Havoline Dodge was running 10th when a multi-car accident left Montoya with no way to escape as he was hit from behind and pushed into the car ahead of him. Unfortunately, the No. 42 was damaged beyond repair forcing the team to call it a night in 41st place. Last Race: Montoya and the No. 42 team earned their first top-five finish of 2007 last weekend at Talladega Superspeedway. Montoya drafted to a second-place finish on the rear bumper of eventual race winner Kyle Busch. Montoya may have had something for the leader on the final lap, but the caution flag waved before he could make his move on Busch. The runner-up finish tied Montoya's best finish at an oval (Indianapolis 2007). It was also a successful first outing for Montoya and his new Crew Chief Jimmy Elledge. Bonus Points: Montoya and the No. 42 team earned their first bonus points of the season when they led their first lap of 2008 at Talladega with a push from the No. 11 car, which finished the race third. He's "SIRIUS" Again: For the second year in a row, listen to SIRIUS Satellite Radio every Monday on channel 128 for the "Juan Pablo Montoya Report." Montoya will provide exclusive updates on the No. 42 Team; give post-race downloads and share his thoughts on the events of the season. He will also chat with hosts David Poole and Mike Bagley on "The Morning Drive" every Tuesday at 8:30 a.m. ET. Catching up with Clauson: Clauson's last NNS run was at Nashville Superpseedway this past March when he started 18th and then battled a tight-handling race car to finish 17th. Although he hasn't competed in the last four NNS competitions, he has still been a busy teenager by becoming a team owner himself, attending some of the last few NNS races and testing, helping around the CGRFS race shop and splitting his time between two states--North Carolina and Indiana. Read all about it below. Clauson Takes on Team Owner Role: Clauson, who is just 18-years old, is embarking on another avenue in his young motorsports career by becoming a team owner, forming Bryan Clauson Racing, Inc., which will field the No. 47 and 7 midget cars throughout the 2008 midget car racing season. Clauson will be handling the role as a team owner and part-time driver with the help of his father Tim Clauson. He will share the driver's seat with more than one up-and-coming open-wheel racer, including Hunter Schuerenberg from Sikeston, Mo. ; Shane Golobic of Fremont, Calif.; and Ryan Kaplan of Chico, Calif. The main purpose of the team is to serve as a catalyst in the development of young drivers. Clauson and his fellow teammates are preparing to run about 20 races in the cars he purchased from Tony Stewart Racing. The team's first run took place in early April at Anderson (Ind.) Speedway with Clauson wheeling the initial effort. For more information, please go to www.bryanclauson.com. Richmond was his First: When Clauson gets on track Friday morning, it won't be his first time making laps around the .75-mile oval. In fact, RIR is where the rookie racer made his NASCAR debut last September. He raced up as high as 21st before a left-front tire rub relegated him into a four-lap deficit (finished 36th). Overall, it was a solid first step and clean run for the 18-year-old racer and his team last fall. Since then, he has tallied 10 total NNS runs, averaging an 18th-place starting position and 25th-place finish. His career best start and finish of sixth place came out of Daytona Beach, Fla., earlier this year during the season-opening NNS race at Daytona International Speedway. Testing 1, 2, 3: Clauson and his teammate Dario Franchitti both tested at RIR in late March with the No. 40 Fastenal Team and other NNS teams. Rookie Update: Clauson's teammate Dario Franchitti still leads the NNS Raybestos Rookie off the Year standings, but Clauson is second. With a total of 52 points, he is just 37 behind Franchitti (who has a total of 89 points). Standings Update: The No. 40 Fastenal Team now stands 17th in the overall NNS owner points. With a current tally of 1,112, the team is 115 points outside of the top 10, and 370 away from first. Check out the Parrott Perspective: Clauson's NNS crew chief Brad Parrott is keeping fans up to date on what is going on in the world of the Fastenal Racing Team through an on-line log he is keeping throughout the 2008 NNS season. 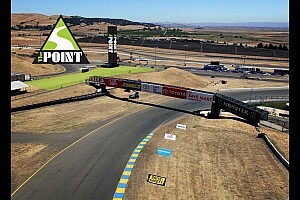 Check out the Parrott Perspective at www.fastenalracing.com. No. 40 Kennametal Dodge (NSCS): Chassis #804. This car most recently carried Franchitti and team to a 32nd-place finish at Phoenix International Raceway (started 21st). Prior to that, the team ran the car at Martinsville Speedway in late March (finished 22nd, started 43rd). No. 41 Target Dodge (NSCS): Chassis #814. The No. 41 team has not raced this chassis; however teammate Juan Pablo Montoya raced this car to a 16th-place finish at Phoenix International Raceway in April. Additionally, this chassis tested at PIR in March where Montoya posted the fastest lap of the two-day test session with a 27.385 second run. No. 42 Texaco/Havoline Dodge (NSCS): Chassis #817. Montoya and the team have not raced chassis #817 this season. No. 40 Fastenal Dodge (NNS): Chassis #851. This is a new car Clauson and his teammate Dario Franchitti tested at Richmond International Raceway in late March. CGRFS Team Owner Chip Ganassi and Team Co-Owner Felix Sabates commented on their teams' historic performances this past Sunday. Chip Ganassi: "As a team owner, who is involved in a number of different series, you live for days like this. I am so proud of these guys. Our Indy shop has been dominant from the first races of the season but I can tell you that I am extremely proud of the way our people are coming together in our stock car operation too." Felix Sabates: "Sunday was an exciting day for me and our team. My hat goes off to the guys on our NASCAR and Grand-AM teams as they have really rallied together to get our guys to the front of the pack in both the Sprint Cup and Rolex Series races." Bryan Clauson commented on what gave him the idea to become such a young team owner and what his main goals are in regard to taking on such a role. "We got the idea and started talking about it a lot more toward the end of last year. Then, in November we met with a company and got sponsorship for a car we didn't even have yet. The main reason for all of this is I love racing and I honestly can't get enough of it. There also really isn't a lack of development for racers getting into stock cars, but when it comes to the aspiring open-wheel racers there aren't as many development opportunities for those guys trying to get a better ride with the big USAC teams like Tony Stewart Racing and Kasey Kahne Racing. We hope to bridge that gap between dirt and pavement with our team." Now, you plan to enter a car in a regional touring series and a few National USAC races. So, does that mean you could be racing against your own car at some points throughout the year? "I wouldn't mind racing against my cars some. If it comes down to me and Hunter or one of the other guys winning a race, someone's going to get spun out. I won't feel too bad about spinning my own car out. I know the owner won't be mad [Clauson says with a smile]."